The mandate of the Peachland Community Arts Council (PCAC) is to stimulate, develop, and encourage all the arts (literary, visual, and performing) in the beautiful surroundings of our Okanagan community. The PCAC recognizes the Arts as being a major contributor to the overall quality of life and economic well-being of Peachland and the Okanagan. It is our aim to bring together Artists and Artisans of all media and all ages and to coordinate either their individual or group interests in expressing their talents. 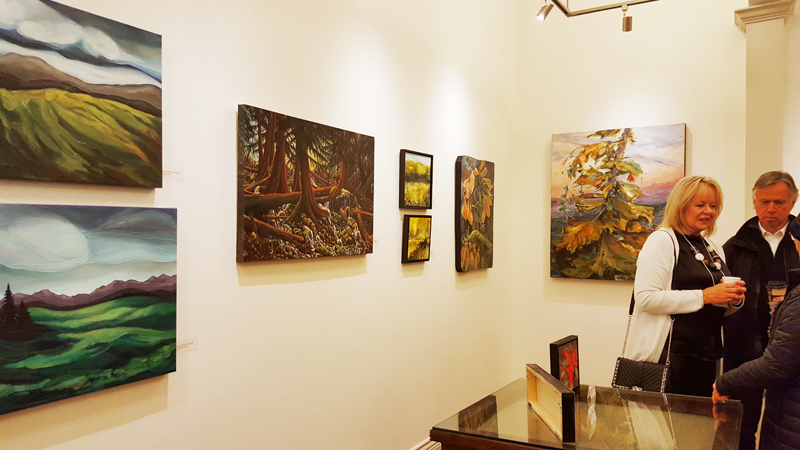 In the Peachland Art Gallery, we feature local recreational artists and outstanding exhibits of those professional artists from around the Okanagan, BC and Canada. An exciting year of exhibitions at the Peachland Art Gallery lies ahead. Please take a moment to view them. ​​2019 is going to be A GREAT YEAR!!! Like us on Facebook and follow us on Instagram to stay up to date on the latest in Peachland Arts. The PCAC newletter is emailed to members biweekly from September to June with a break at Christmas. It is posted on this website on the following Saturday.